ACE has a specialist range of protective clothing and hazard-wear, conforming to the highest level of quality, safety and durability from manufacturers such as 3M, Alexandra, Centurion, Dunlop. J.S.P,L.H. Safety, Manulatex, Regatta, Supertouch and Tuskers. Download the SuperTouch brochure below. For use in abattoirs, butcher’s shops, delicatessens, meat and fish processing factories. Chainmesh gloves (wrist or forearm protection) and aprons are created in accordance with the European standard EN1082 and EN412 respectively. Ansell proFoodTM Knitted Spectra® Gloves and NeptuneTM Kevlar® Gloves. Both machine washable. Offering total head to toe protection for the specialist cold store/chillroom environment. ACE offers an excellent range of quality ear protection products from brands such as A.E.R.and Bilsom.Classic Foam Plug, Metal Detectable Tracers, Ear Caps, Cabocord, Silicone and Passive Earmuffs. 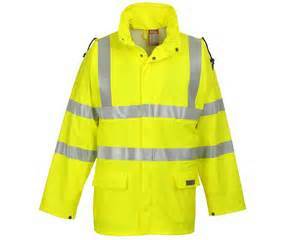 Supplying a comprehensive range of workwear for men and women ranging from boiler suits, jackets and trousers to food industry clothing. We also offer an extensive choice of branded fleeces, sweatshirts, poloshirts and body warmers. Keep your eyes/face protected withour range of stylish, lightweight and comfortable safety spectacles, goggles and face shields from brands such as Pulsafe and Bacau-Dollaz. Full range of protective headwear from snoods, coveralls, trilby hats, grafton hats, hair nets, and baseball caps. JSP and Centurion brands of bump caps and safety helmets offering comfort, assured protection and performance. Available with or without additional safety attachments. To comply with the demands of EN471, ACE stocks a vast range of high visibility head to toe clothing from brands such as SuperTouch and CLICK. Why not personlise your workforce's clothing using the latest technology for embroidered and heat sealed logos. Please contact us to discuss your requirements. Offering a range of totally unique masks and respirators from Mouldex, 3M & JSP, which use new technology to provide comfort and effective protection. 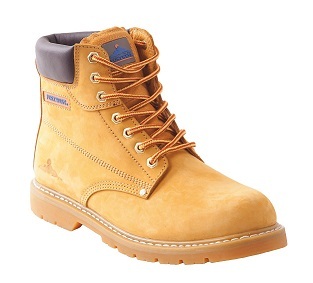 High performance safety boots and shoes for all working environments from trusted brands such as Tuff, DM, Rockfall, Click and L.H. Safety. Stay warm and dry with our range of all weather clothing from excellent brands such as Regatta, SuperTouch and CLICK. 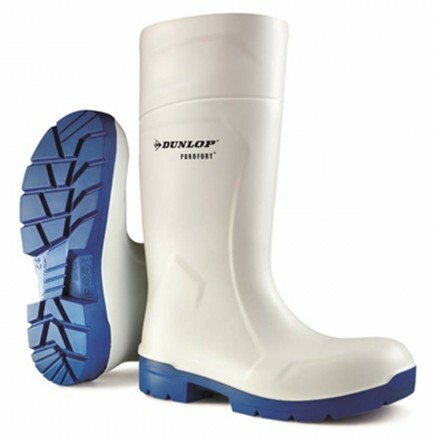 The food industry can always rely on Dunlop's range of professional Wellington Boots. Various styles available from stock, many of which have superb thermal insulating properties and are available with steel toecaps or midsoles. Ideal for use in both general and food processing industries.